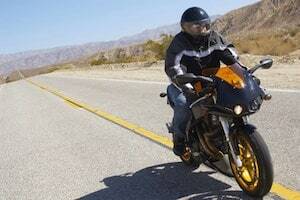 Motorcycle lane splitting accidents in California are more frequent than just about anywhere in the U.S. This is because splitting lanes is not legal in every state but, is lawful in CA. It is also because urban areas like San Diego, Los Angeles, Orange County and the Inland Empire have some of the busiest freeways in America with traffic congestion as bad or worse than any U.S. roadway. Major north south thoroughfares like Interstate 5 or east west corridors like Interstate 10 have upwards of 6-8 lanes (including HOV) in spots and there are times when each and every pathway is bumper to bumper. Likewise, multi-lane surface streets including popular bike riding meccas like the PCH can be jammed during peak hours of travel and even on weekends for our coastal regions like San Diego, Newport Beach and Malibu. Bikers tend to skirt between lanes during these rush hour periods in an attempt to get ahead of the traffic backups. The problem is that it only takes a split second for another motor vehicle to change lanes without noticing the bike approaching from the rear, which can trigger a crash and spill, which can cause the biker serious injury and, sometimes, fatalities. Unlike many other states who ban the practice, there is no California Vehicle Code section which specifically outlaws bikers traveling between lanes in CA. In fact, there are several, official publications from the California Department of Motor Vehicles and the California Highway Patrol that state, “Lane splitting in a safe and prudent manner is not illegal in the state of California.” In addition, California Vehicle Code (CVC) section 22400 prohibits motor vehicles from traveling at an intentional slow speed or otherwise impeding the flow of traffic, which can be interpreted to prohibit creating an impediment to a motorcyclist from filtering forward in the unused portion of roadways. Moreover, CVC 22517 is a prohibition of any person opening a car door or leaving a vehicle door open on any side of a vehicle available to moving traffic, which would also prevent drivers from intentionally or negligently dooring a white-lining motorcycle rider. Having said this, bikers are still charged with obeying the same rules of the road with respect to lane delineation as other motor vehicle operators. These statutes including the following: CVC 21460 (prohibits crossing double parallel solid yellow lines or certain dashed/solid line configurations except to turn left at an intersection or into a driveway or private road or to make a legal U-turn); CVC 21460.5 (prohibits using a two-way left turn lane to do anything other than prepare to make a left hand turn); CVC 21750 (requiring a safe distance when passing a vehicle to the left); and CVC 21754 (which prohibits passing in the far right lane except under certain conditions). Travel at a speed no greater than 10 m.p.h. faster than the traffic moving around you. When the flow of traffic reaches 30 m.p.h. or higher, it is not adviseable to split lanes. Consider the condition of your bike. Wide handle bars, pipes, mirrors and other features can create a clipping hazard. Overall, the CHP suggests the four R’s as rules of thumb:Reasonableness (i.e. using prudence or caution), Responsibility (to not intentionally place yourself in a dangerous situation), Respectfulness (speeding in between lanes and cutting people off is just going to piss off your fellow travelers and can lead to trouble), Roadways (again being aware of your surroundings is paramount to safety and this includes not lane splitting on patches of road with which you are not familiar or in areas where rear view visibility is concealed such as around curves or on hills). How Does Biker Lane Splitting Affect A Personal Injury Claim in CA? Just because it is technically not illegal to split lanes, does not mean that a biker cannot be ticketed for being reckless in doing so. Likewise, if an accident does occur, California is a comparative fault state where civil liability is apportioned between the parties. This doesn’t mean that a driver gets to avoid their responsibility to look twice in rear and side view mirrors before changing lanes but, it does means that imprudent lane splits can lead to a drastic reduction on the monetary recovery of any bodily injury claim that the biker may assert. If the biker is deemed even partially at fault for the collision, their award will be reduced by a judge or jury according to their percentage of responsibility. The main issue is usually speed. Traveling at a fast clip between lanes especially on a freeway but even on surface roads is a recipe for disaster. It only takes a blink of the eye for another motor vehicle to swerve or veer in front of the biker, leaving them with no “out.” Therefore, as a motorcycle injury lawyer who represents bikers across the Southland and up the coast of the Golden Bear State, I always caution riders to split lanes only at lower rates of speed and only in compliance with the CHP guidelines set forth above to not only reduce the chances of being seriously injured or killed but, to increase the chances of recovery if a mishap does occur.